Articulation scenes - 3 color and 3 black and white articulation scenes (all positions). 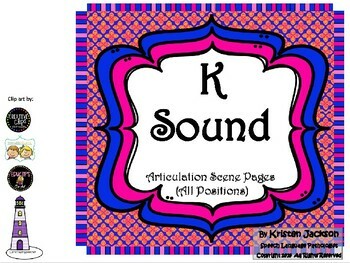 Practice your sounds with these fun pages. Color the black and white ones and send home. Additional pages with all three sounds on one page are also included. 3 articulation dice are included for more fun practice. An Artic Town Card Sorting Castle helps keep you cards in order. Cut apart the pictures and put in the correct doors - everything comes out sorted. 16 total pages. 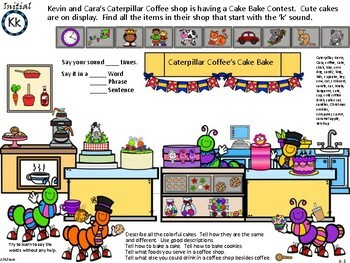 Also great for mixed groups - directions for language included on some pages. 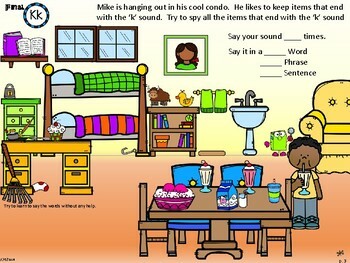 Practice following directions and telling stories.